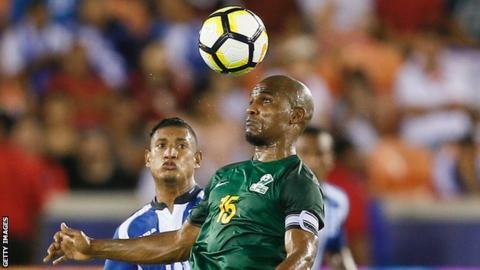 French Guiana have been fined an undisclosed amount and made to forfeit their Concacaf Gold Cup match with Honduras after fielding ineligible ex-Chelsea midfielder Florent Malouda. Malouda, 37, played in Wednesday's 0-0 draw against Honduras but was ineligible under the Fifa rules Concacaf adopted for the tournament. Malouda played 80 times for France, including the 2006 World Cup final. The French Guiana-born player has been suspended for two "official" games. Fifa rules bar players from switching national teams once they have played a competitive international at senior level. "Malouda was confirmed by the disciplinary committee to be ineligible to play in the Gold Cup 2017 according to the applicable regulations," Concacaf said in a statement. Malouda, who currently plays for Indian Super League team Delhi Dynamos, featured in the 2006 World Cup final for France and during six years at Chelsea won three FA Cups, a Premier League and a Champions League. French Guiana is an overseas region of France but its national team are not Fifa members and could not, for example, play in the World Cup. As they are not Fifa members, the global governing body's eligibility rules do not normally apply to them. As a result, Malouda was allowed to play for French Guiana in the 2017 Caribbean Cup and featured twice as they finished third in Martinique in June. However, Concacaf's decision to use Fifa rules means he is ineligible to play in the Gold Cup.